Instead of our usual Tip of the Month, we wanted to help you start 2017 with a bang. 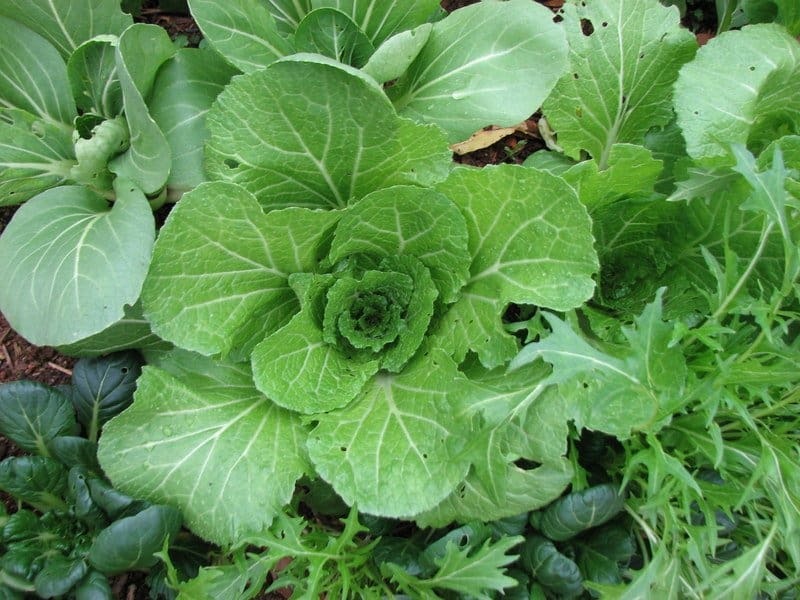 So our January Tip of the Month is more than just a tip… it’s a complete guide to seed starting for organic gardeners. Seed Starting Ebook in case you’d prefer to read through any of the information from the video classes and/or get additional notes. 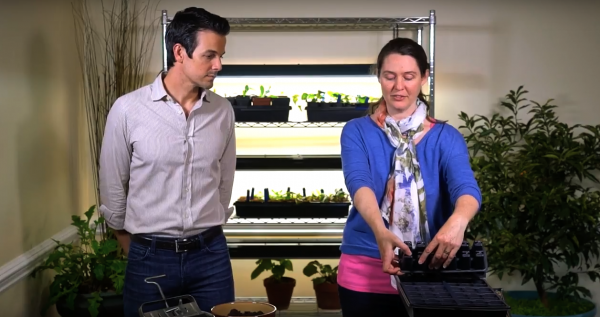 These three video classes will teach you everything you need to know to start, grow, and transplant healthy organic seedlings into your garden. 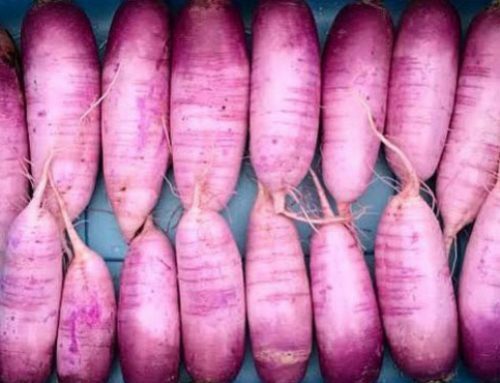 Whether you’re a green thumb or a brown thumb, you’ll learn methods and approaches from watching these videos that will help you have better success starting your garden plants from seed. 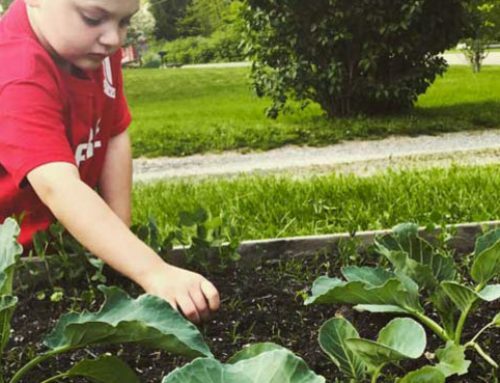 The instructors are Eliza Holcombe Lord, GrowJourney’s Education Director (Master Gardener, Master Naturalist, Permaculturalist) and Aaron von Frank (GrowJourney’s cofounder/CEO and an organic gardening expert). 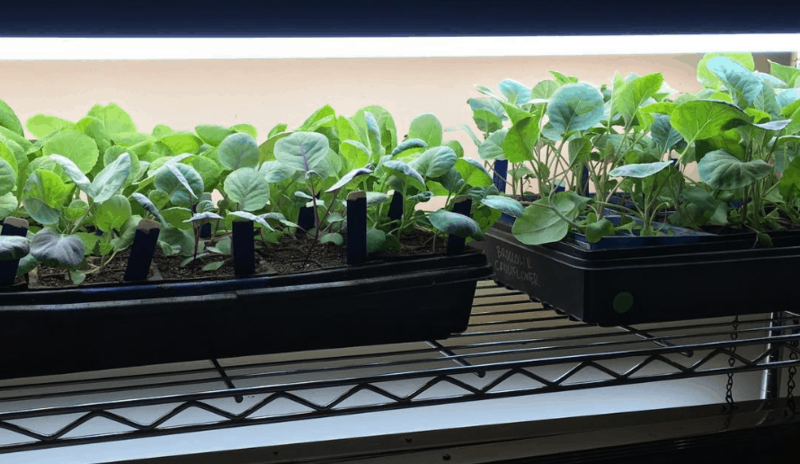 Video 1: Should You Start Garden Plants From Seed? Why? If you prefer a written format and/or want to read through any of the notes and information provided in our video classes, check out our free Seed Starting Ebook: GrowJourney’s Complete Guide to Seed Starting. If you have any questions, please ask away in the comments section below. Happy New Year and happy gardening in 2017! Hello, what is the best way to water seedlings. Do you water direct into the cells or do you bottom water by filling the tray and letting the cell packs soak up the water. Or do you use a spray water bottle. Just trying to avoid overwatering and damping fungus disease. Hi Kathy! Great question. The answer somewhat depends on what type of seed packets we’re using and what stage in the life cycle the plants are in. Between the time when we first put the seeds into their cells and the time they germinate (3-10 days depending on seed type), we typically just use a spray bottle to keep the cells/seeds damp. As the seedlings get growing they start requiring more water, so a spray won’t provide the deeper watering needed. That’s when we start using a watering bottle with a small attachment that slows down and directs the water. (A lot of people just use a standard water bottle with small holes punched in the plastic screw-on cap.) When we’re using standard plastic or biodegradable cells, we usually top water. When we’re using Ladbrooke seed blocks, we always bottom water. As far as damping off is concerned: If you have: 1) good airflow over your seedlings, 2) a good biologically rich seed starting mix like the one we recommend (http://amzn.to/2ktNYPi), and 3) clean/sterilized seed cells, damping off won’t be a problem. Thanks Aaron! Great idea using the water bottle with holes to control the amount. I found your instructions on how to build your own grow light system and just purchased everything yesterday at Home Depot. Will be setting up this week. I had been shopping around for weeks trying to figure out what to buy and was disappointed with the options and pricing of ready made grow lights. Thank you for sharing this!! I am starting a micro cut flower farm in my backyard this season and needed something to start about 400 seedlings. This will do it!! If temperatures allow, we’ll leave them out at night. 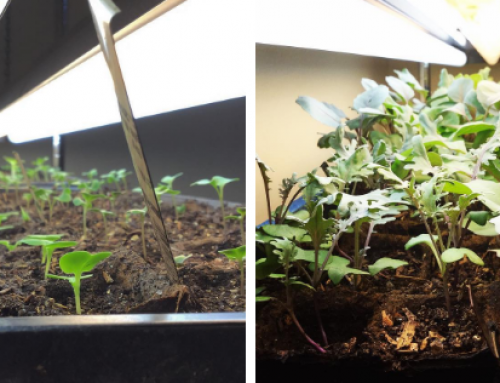 For summer seedlings, that means we prefer to bring them indoors if nighttime lows go under the low 50s °F. 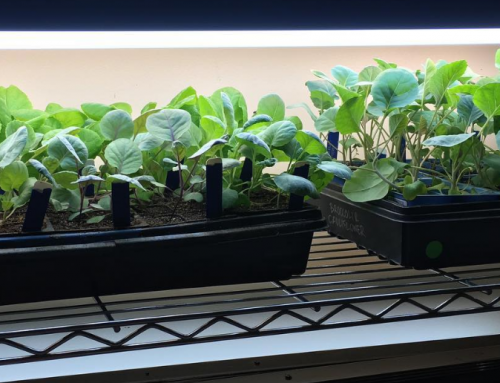 For fall/winter/early spring seedlings, that means we bring them indoors if temps are going to go lower than 40°F (they can take it, we just want to keep them extra happy). What do you recommend with LED lighting? I just bought a couple for my shop and I’m amazed at the difference, especially in the cold. Will they work or not? Hi Jack! Having never used LED grow lights or done much reading about them, I’m hesitant to provide any advice here. I know that a lot of indoor grow light systems use them successfully. Years ago when we first made our DIY grow light setup (https://www.growjourney.com/want-to-garden-like-a-pro-heres-a-simple-and-affordable-indoor-grow-light-setup/), LEDs were prohibitively expensive for us and hard to come by. That may have changed by now. If you find good ones that work well for you, please check back here and let us know, thanks!